37531 NETPL1460.jpg 500X638\NETPL1460.jpg 37532 NETPL1460_.jpg 500X638\NETPL1460_.jpg 37533 NETPL1460_2.jpg 500X638\NETPL1460_2.jpg Send A Hint! 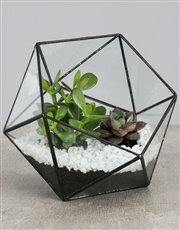 Product Description: less text This one's definitely a keeper! 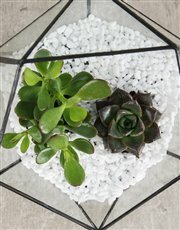 Two mini cacti and succulents are displayed in a beautiful geometric vase with white stones and potting soil for that extra glam effect. 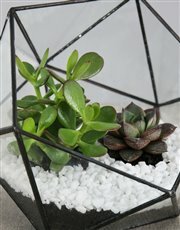 It's the perfect gift for any plant-loving dad! 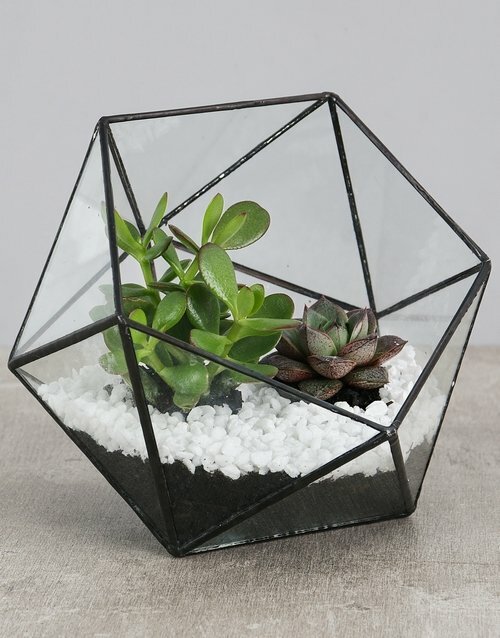 Get this Succulent With White Stones In A Terrarium delivered with NetFlorist.